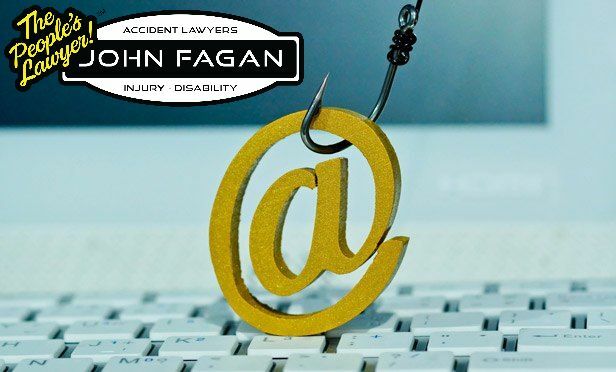 The Internal Revenue Service and state tax agencies are warning of a surge of new, sophisticated email phishing scams. Tax-related phishing scams reported to the IRS declined for the prior three years until a surge in 2018. “More than 2,000 tax-related scam incidents were reported to the IRS from January through October, compared to approximately 1,200 incidents in all of 2017,” the IRS states. One recent malware campaign used a variety of subjects like “IRS Important Notice,” “IRS Taxpayer Notice” and other variations. “The phishing emails, which use varying language, demands a payment or threatens to seize the recipient’s tax refund,” according to the IRS. These schemes are notables because they often have misspelling and bad grammar. Taxpayers can forward these email schemes to phishing@irs.gov. Not all phishing attempts are emails — some are phone scams. “One of the most common phone scams is the caller pretending to be from the IRS and threatening the taxpayer with a lawsuit or with arrest if payment is not made immediately, usually through a debit card,” the IRS warns. Be vigilant; be skeptical. Never open a link or attachment from an unknown or suspicious source. Even if the email is from a known source, approach with caution. Phishing schemes thrive on people opening the message and clicking on hyperlinks. When in doubt, don’t use hyperlinks and go directly to the source’s main web page. Use security software to protect against malware and viruses found in phishing emails. Some security software can help identify suspicious websites that are used by cybercriminals. Use strong passwords to protect online accounts. Each account should have a unique password. Use a password manager if necessary. Use multi-factor authentication when offered. Some online financial institutions, email providers and social media sites offer multi-factor protection for customers.